Start your morning at the Temple of Heaven. If for some reason you only have one day to spend in Beijing, you might as well make the most of it. As Beijing was planned on a south-north axis, your epic day of sightseeing will take you right along this path. Start early in the morning at the Temple of Heaven, where you’ll spot locals doing tai chi and other morning exercises. Visit the impressive temple, which was used in imperial times to offer up sacrifices. It can be reached by subway on line 5, by local bus, or of course by cab. Stroll along Qianmen and have a Beijing breakfast. 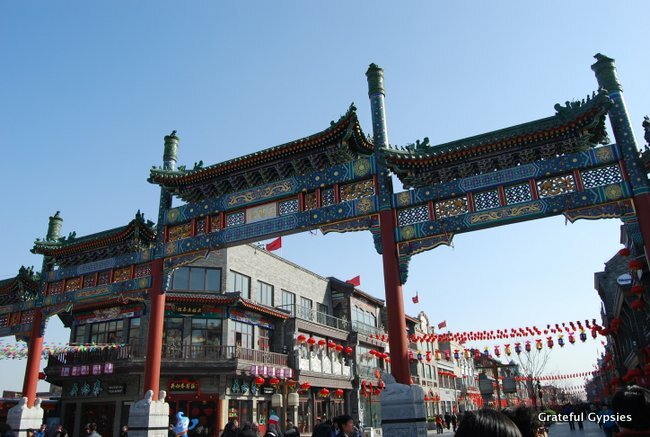 From there, head to Qianmen Street and dip down some of the side alleyways. These are more authentic than the modernized main street, and you’ll be able to find a cheap Beijing breakfast – soybean milk, steamed stuffed buns, fried dough, and porridge. Next up, check out Tiananmen Square. This is the heart of China – the place where Mao Zedong established the PRC on October 1, 1949. If you’re so inclined, you can get there at sunrise to see the daily flag raising, or you can stand in line to see the preserved body of Chairman Mao himself (or maybe the fake one). Check out mini-Beijing at the Planning & Exhibition Hall. 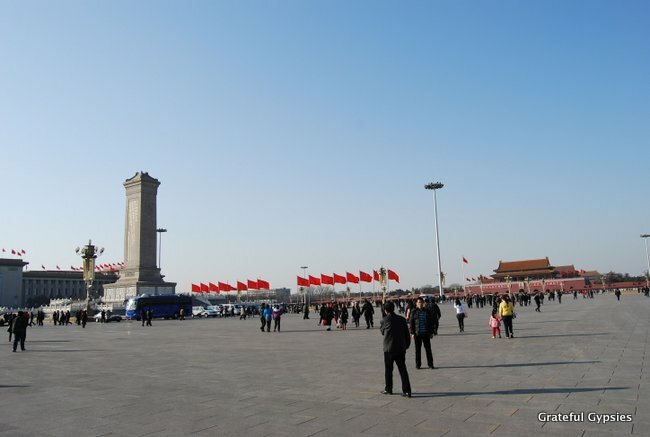 Around Tiananmen, you’ll find both the National Museum and the Planning & Exhibition Hall. 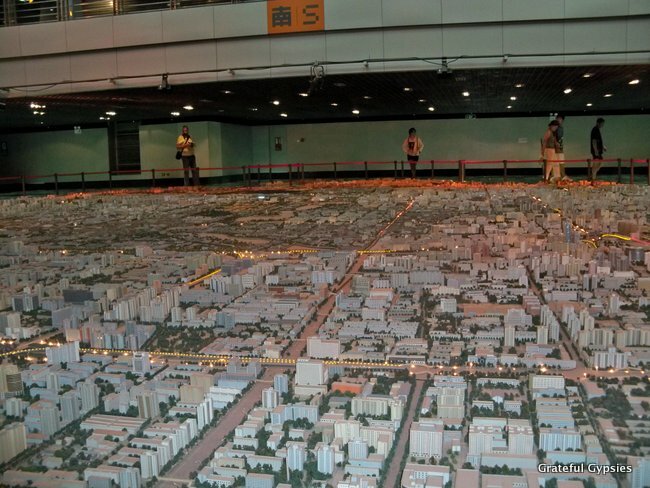 The former is free and is full of interesting exhibits; the latter costs 30 RMB to enter and features an incredible model of Beijing on a 1:750 scale. Both are well worth a visit, but you’ll have to choose one or the other if you just have a day. 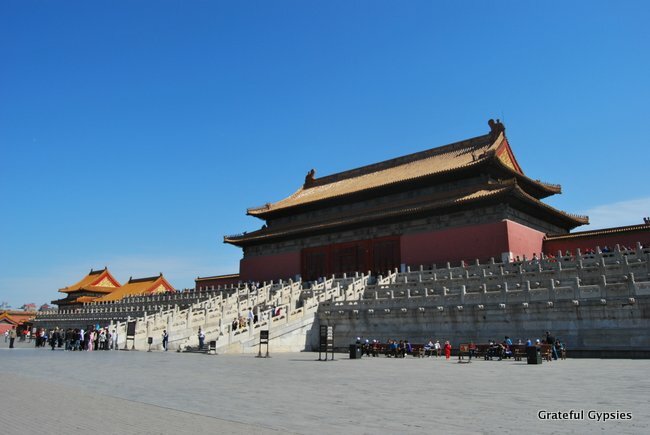 Across from Tiananmen, you’ll find the Forbidden City. Buy a ticket and head in to see where the emperor called home during imperial times. This massive compound can be done in around two hours, but if you try to see everything inside it might take three to four. 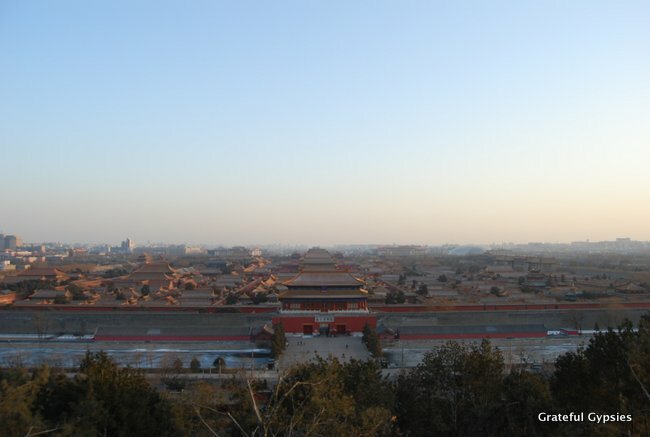 Panoramic view of the Forbidden City from atop Jingshan. Exiting out the north entrance takes you right to Jingshan Park, another great place to spot locals doing their thing – dancing, playing cards, flying kites, and more. It was here that the last emperor of the Ming Dynasty, Chongzhen, hung himself from a tree after fleeing the Forbidden City. At the top of the “Coal Hill,” you’re treated to a breathtaking view of Beijing, both new and old. Of course, this is only true on clear days – Beijing’s famous air pollution limits the view most of the time. Take in a performance at the Drum Tower. From the west side of Jinghsan Park, you can hop on local bus #5 and take it to the Drum Tower (Gu Lou). Near the bus stop, you’ll find both the Drum and Bell Towers, Beijing’s ancient clocks. You might as well get the double ticket and see both towers. 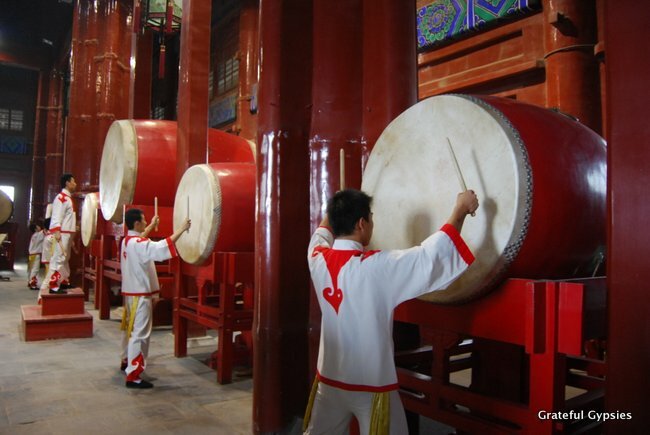 There’s a drum performance up in the tower a few times a day that is not to be missed, and from both towers you’ll get a nice view of old Beijing neighborhoods and the famous alleyways, called hutong in Chinese. Since you’ll be tired, you should stop to relax, drink a cup of tea (or coffee), and get some lunch. There are plenty of places to do so around the Drum Tower, so take your pick. Sculpting in Time, a nice little café, and 4 Corners, a Vietnamese restaurant around the corner, both come recommended. Go boating on Hou Hai. 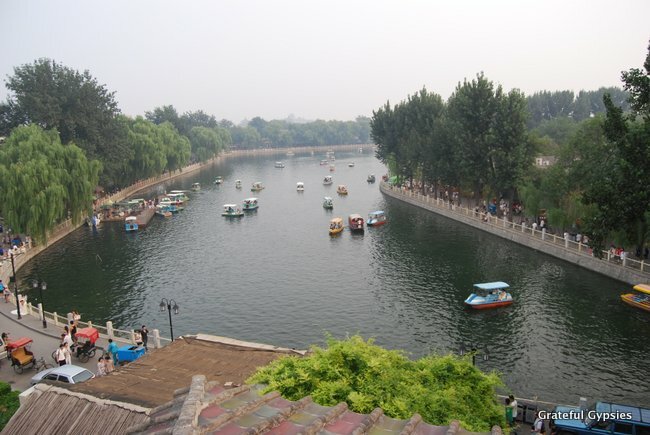 After lunch, a short walk will take you to Hou Hai, a man-made lake in the center of the city. In the warmer months, you can rent a boat to cruise around the lake, and in winter you can go ice-skating. Year round, bicycles are also available for rent. Cruise around the three lakes, take in the sunset, and get out of there before all the bars turn on their offensively loud music and send out their pushy and obnoxious workers to draw in customers. The Bird’s Nest at night. 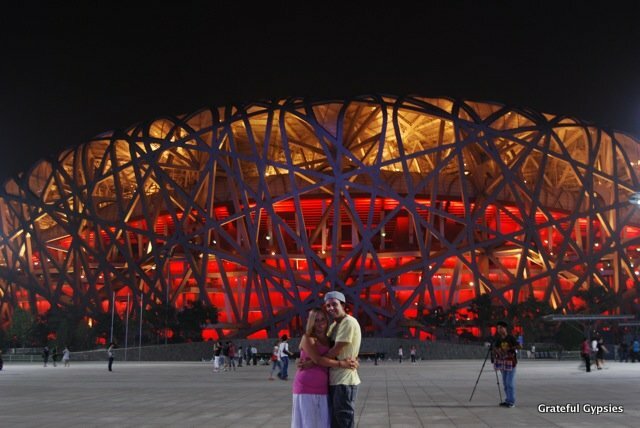 With the sun down, it’s a good time to head north to take in the sights of modern Beijing at the Olympic Park. From the Hou Hai area, it’s best to just get a cab there. At night, the Bird’s Nest and Water Cube are both illuminated in a sea of neon light. Outside, it’s like the Olympics never ended, with hordes of Chinese tourists posing for pictures and plenty of touts selling knick-knacks and photography services. Eat the royal bird at Da Dong. Having seen the emperor’s former residence in the Forbidden City and playground in Hou Hai, it’s time to eat like one. 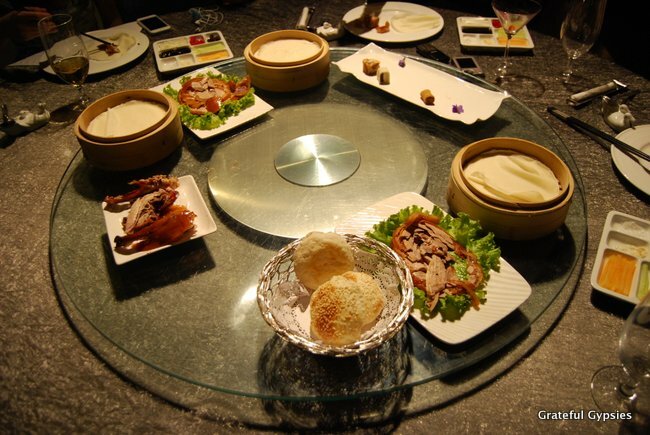 Head to Da Dong, one of Beijing’s most famous restaurants, to eat the imperial bird – Beijing roast duck. While you wait for a table, grab a free glass of house wine and watch the master chefs at work preparing this fantastic fowl. The menu here is like a novel, so take your time and order up a few dishes to complement your duck. When the bird is ready, they’ll take it out to your table and carve it up right in front of you. It’s an incredible dining experience that is a must-do in Beijing. Although Beijing has never been known as a city for craft beer lovers, that is changing rapidly. Over the past few years, a handful of local breweries have popped up, pouring tasty micro-brews for crowds of thirsty customers. 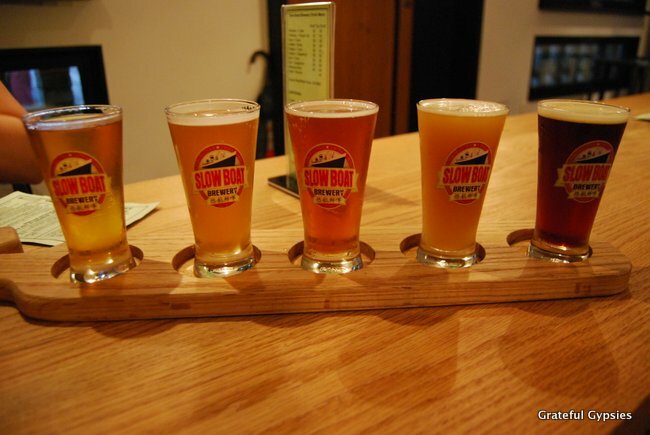 Try a flight of five Made in Beijing beers at Slow Boat, sample a pint of Honey Ma Blonde at Great Leap, or try a really strong IPA at Jing A to wind down one hell of a day in the Chinese capital. 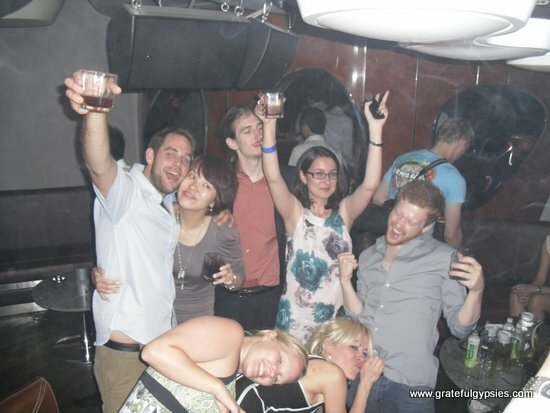 Beijing is a great place to party! If you’re a night owl and you just have to take in some of the city’s nightlife, your options are plentiful. Whether you want to rock out with local bands, drink fancy cocktails, get crazy in a club, or just wander around drinking cheap beers in the street, the night is your oyster in Beijing. *We realize that this is an action-packed day that may leave most people sleeping in the street before it’s over. That being said, the items with an asterisk (*) can be omitted, in our humble opinion. 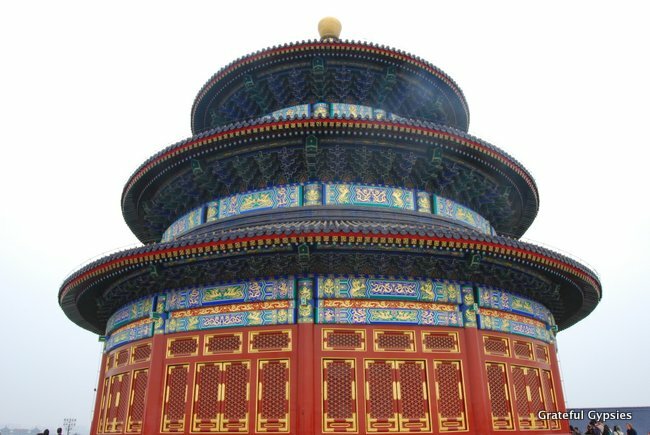 While the Temple of Heaven and Olympic Parks are both cool, they can be scrapped in favor of spending more time in the other spots and not tiring yourself out. If you have more time in Beijing, you can go back and visit these places whenever you feel like it. Obviously, the same goes for the nightlife. We realize that most people would rather relax in their hotel after that kind of day, but what can we say… we like to rage. Rather than doing this whirlwind tour and heading out the next day, why not stick around a little longer? We’ve got more awesome itineraries for: 3 days in Beijing and 5 days in Beijing.